As many of you know, I live in Connecticut. 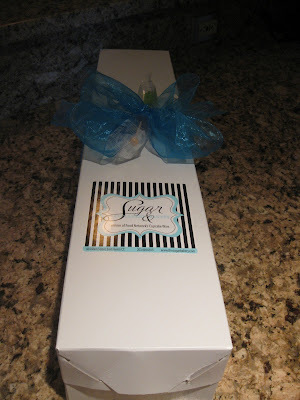 Last week it was my birthday and my parents chose to get me a dozen of delicious, decadent cupcakes from Sugar. In case you don't know, Sugar actually won The Cupcake Wars on The Food Network! That means their cupcakes are some of the best in CT! When I initially saw the packaging I thought it was a bouquet of flowers. Then I noticed the bow had rock candy attached to it and I read the sticker. 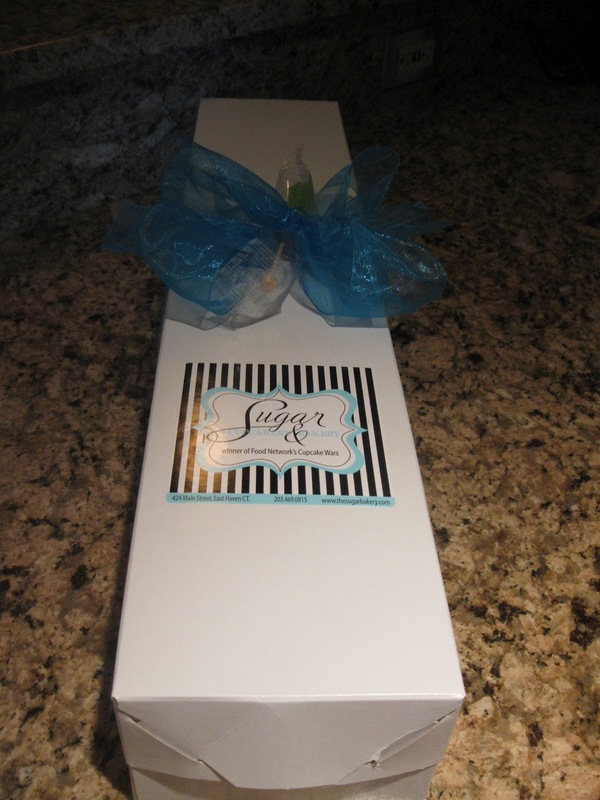 It was a bouquet of cupcakes from Sugar! I opened the box and was in a cupcake lovers heaven. I had 12 assorted beautiful cupcakes in front of me. All I wanted to do was dive right in! However, it was breakfast time. 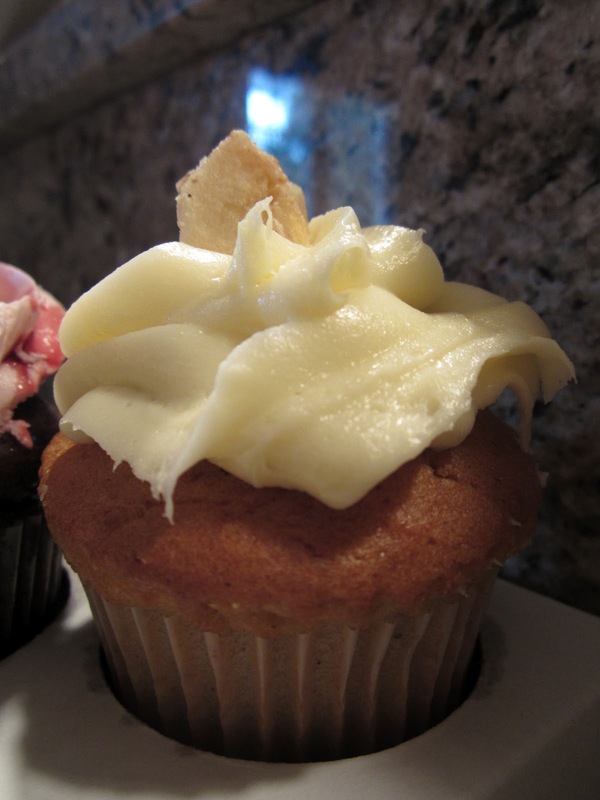 Luckily there was a banana cupcake waiting for me! I decided that I want to rate each cupcake. The banana one was delicious. It had a banana chip on top as garnish. The frosting was a delicious cream cheese dream. The cake was moist and tasted like a sweeter version of a banana muffin. It was great for breakfast and started my day off right! Throughout the week I'll be posting the rest of my cupcake ratings! Let me know what your favorite type of cupcake is and where you get them! Those look so incredibly good!